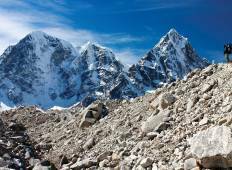 Find the right tour for you through Khumjung. 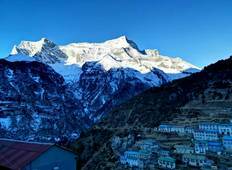 We've got 60 tours going to Khumjung, starting from just 4 days in length, and the longest tour is 28 days. The most popular month to go is October, which has the most number of tour departures. "The trip was organised well starting from the itinerary and our guide Pasang, overall..."
"It was everything and more than I had expected. Santosh was with us at every part..."
Nepal Highland Treks P. Ltd.
"I've taken about a half dozen treks with Nepal Hiking Trek and its founder Hari Dharel...."